Expanded in 2005, well-known as one of the most practical and “user friendly” meeting facilities, the Colorado Convention Center is now home to over 250+ events annually. The Colorado Convention Center is located within easy walking distance of over 8,700 hotel rooms, 300 restaurants, 9 theaters of the Denver Performing Arts Complex and a wide variety of shopping and retail outlets. Explore interactive maps of the Colorado Convention Center. While you’re here, you owe it to yourself to discover the best that the Mile High City has to offer. 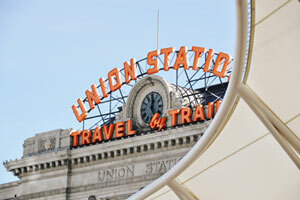 Visit Denver has put together some tips for CBC attendees to help you plan your trip! Check out customized itineraries, explore a few locals’ favorites and transform your time in Denver into a vacation you’ll never forget.